Dress your infant up in this soft long sleeve baby rib bodysuit. This cozy one-piece is perfect for chillier weather. Make it one of a kind with your own design. We're not calling it a onesie anymore, we're now calling it a long sleeve baby rib bodysuit! 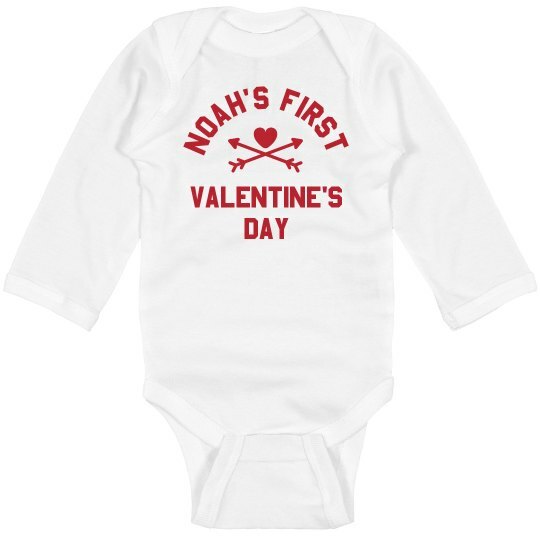 Let's make your little one's Valentine's Day a memorable one by letting him/her wear this super adorable onesie! Customize it on our easy to use Design Center with your baby's name and you can also add the year! This can also be best kept so there would be something to reminisce in the future! Because I believe, firsts are always memorable!